Be Kind, I Love You and Thinking of You are just a few of the terms of endearment that have historically made Valentine’s Day so special. On Valentine’s Day, you can be redeemed for past transgressions and possibly forgiven with just a few thoughtful words and a small token of appreciation. My favorite Valentine candies have always been the little pastel-colored candy hearts with the scripted messages of love and kindness delicately painted on them. Although the colored candy hearts are not the most tasteful delicacy, they bring to mind the reason we celebrate Valentine’s Day…to make someone feel special. Usually, I would say the occasion is mostly about ‘me and my heart‘, but this year I think there is a little more to this special day. This year, my research on the ‘Heart‘ lead me to the Lucy Daniel’s Center when I received an invitation to the Heart Balm Ball that was circulating the firm. One morning on my way to the copy machine, I passed John Narron’s office door, and I heard him say, “You’re going to join our table, right?” (Apparently, I had not responded with my RSVP, whoops!) So, of course, I replied with a resounding “yes”, even though I had not verified the date or plans with my husband, Preston. As you can imagine, Valentine’s Day is usually about me, so I assumed the choice on how to spend it would be mine as well. I was right. Although I was somewhat familiar with the Lucy Daniel’s Center, I decided that a little research and discovery was in order. If I were to share a day that’s normally all about ‘me‘ with something else, it would have to be a very special ‘something else‘. I could not have been more delighted to discover that we would be financially benefiting children and families with special needs on Valentine’s Day! My enthusiasm for the event rose further when I learned that many local family lawyers and firms had taken the lead in promoting the Lucy Daniel’s Center. The one topic that always brings family lawyers together is anything having to do with the health and well-being of children and families. What could be more fulfilling than supporting the quest for children with mental health and educational needs, by helping to equalize their opportunity for health, success and happiness? As a family lawyer, my daily tasks are focused on helping parents navigate complex legal issues while simultaneously shielding children from as much adverse exposure as possible. The Court system has recognized the need for mental health intervention and many dispositions in family law cases require therapeutic treatment for children and parents in support of their future health and development. Whether families are intact or involved in the court system, recognizing a child’s emotional health and development is of utmost importance and concern. Many children are in need of therapeutic and educational services and without financial support, they will never receive the treatment they need to prevent further emotional and behavioral disorders. The Lucy Daniels Center recognizes the need for mental health services for children, and they strive to treat all children who need help, regardless of the family’s ability to pay. This year, organizers held the Heart Balm Ball fundraiser on Valentine’s Day to raise awareness regarding the rising number of children at risk and the need for financial support. Their mission is to help children grow emotionally from the inside out and live emotionally healthy lives through in-depth evaluation and treatment, family involvement, and education. In support of the Lucy Daniels Center and their mission, the local family law attorneys took the lead in hosting this year’s fundraiser to raise awareness and support of this very worthy cause. 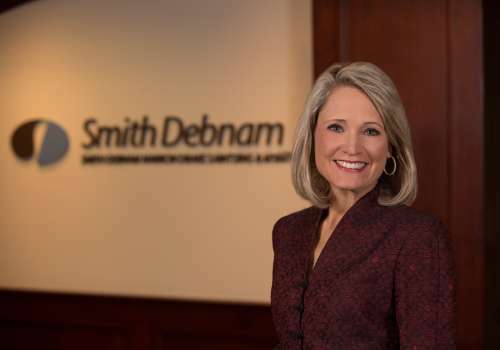 Smith Debnam was quick to join in as a sponsor of the Heart Balm Ball. Together, we celebrated Valentine’s Day with the Lucy Daniel’s Center-seizing the opportunity to support families and children. Of course, in my mind, Valentine’s Day is still a celebration of ‘me‘, but this year, it was much more. This year, I and many others celebrated matters of the heart as we traditionally do, but I believe that by supporting the Lucy Daniels Center for children, we truly found the Heart of the Matter.